Rightfully so, Zürich has recently been named a top gourmet destination by CNN Travel. One of our newest discoveries is located right behind the opera house. 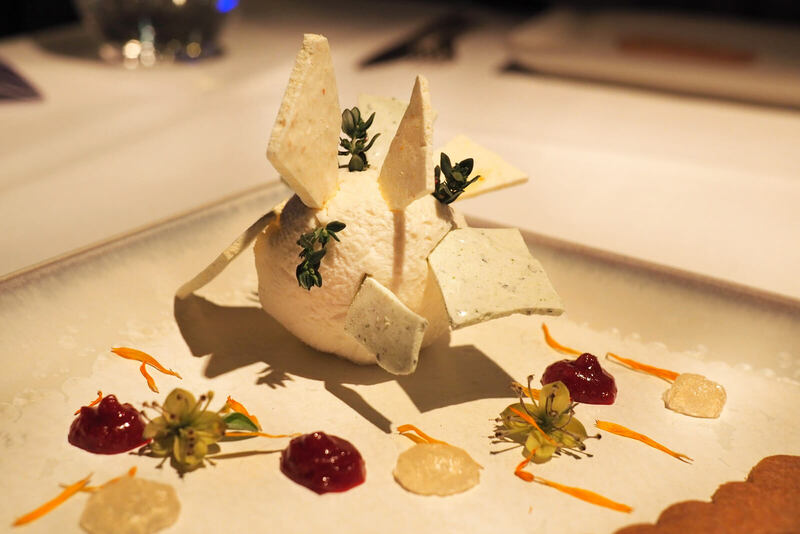 The aptly named Restaurant Opera with its 15 Gault Millau points is a gem of an eatery thanks to its talented chef and collegial staff. The philosophy of Chef David Krüger is to use forgotten parts of vegetables, ancient herbs, roots and meat from local producers. Together with his kitchen staff, Krüger collects the ingredients for his meals in central Switzerland's forests, meadows, mountains and lakes. Krüger's creations are fragile works of art featuring many tastes and flavors from our grand-parents generation. Or in the words of Chef David Krüger: "Our woods and fields produce many delicious tastes: ancient herbs and genuine products, which I receive directly from the producer or that I gather by myself." For Mamiko's birthday dinner, I have secretly booked a table for two at Restaurant Opera. We missed the launch event of the latest menu, called David's Table. This event takes place every few months and is a unique chance to meet the chef and eat your way through his latest menu. For the event, the chef will usually invite some of the producers, such as a local honey producer. In 2019, two additional dates to experience the latest menu are June 6 and September 25. Once launched, the seasonal "Inspiration Menu" will remain available as part of the restaurant's à la carte offering. After toasting to Mamiko's birthday with a glass of bubbly, the only choice we have to make is to decide among three, four, five or six courses. We do not want to go overboard so we stick to four courses, but we each order something different.